Wild lettuce tea is a herbal infusion made from Lactuca virosa, which is also known as Opium Lettuce. Health benefits of wild lettuce tea have been well known for almost 15 centuries, and some of therapeutic actions of this herb are mentioned in the ancient Egyptian writings and artwork. A famous philosopher and physician, Hildegard of Bingen, documented numerous healing powers of wild lettuce infusion and lettuce juice (lactucarium). This natural healing infusion contains many useful elements like flavonoids, vitamins A, C, K and B group, calcium, omega 3 fatty acids, proteins, alkaloids, lactucone, triterpenes and others. Wild lettuce tea benefits include excellent antispasmodic and analgesic powers of this medicinal herb. To prepare a great wild lettuce tea, use 1 teaspoon of dried herb for 1 cup of water. Add boiling water to the container and let your tea steep for 15-20 minutes. In the 16s – 20s centuries, wild lettuce tea and lettuce juice were quite commonly used in early medicine for their great sedative and narcotic powers, that’s why the herb is called Opium Lettuce. This herbal tea is very light and refreshing. It can be used to treat all sorts of irritable coughs, especially dry coughs. For this purpose, specialists suggest combining wild lettuce tea with wild cherry bark decoction. Unlike many commonly used prescription medications for irritable and whooping coughs, such herbal remedy will effectively help to get rid of coughs without any discomfort or unwanted side effects. Wild lettuce tea can be also used in those numerous cases, when we need to calm down our nervous system, reduce anxiety and other negative effects of stresses. It’s a perfect tea to drink before the bedtime as it also can induce sleep. 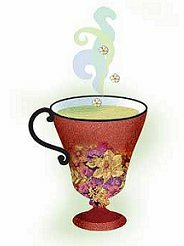 To increase relaxing and calming health benefits of wild lettuce tea, you can combine it with other herbs like Lemon balm, valerian root, skullcap, passionflower or chamomile, and you can add some high quality honey to enrich the taste of your herbal tea. Besides, wild lettuce tea benefits include effective pain relief. It is one of the most recommended herbal remedies to treat muscle cramps, arthritis pains and all sorts of joint pains, colic pains, painful periods and painful digestion. Do not drink more than 2-3 cups of wild lettuce tea a day because it can cause sleepiness, a lack of attention, allergic reactions and so on. Do not take wild lettuce tea before getting involved in any activities which require constant attention and concentration, like driving a car, etc.